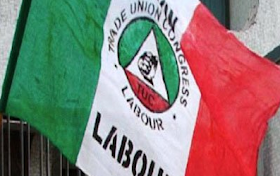 The Presidency yesterday stepped up efforts to convince labor unions in the country to call off their strike following the earlier meeting at which the government accepted their request to reunite the tripartite meeting on the proposed new national minimum wage. A statement issued by the Senior Special Assistant to the President on Media and Publicity, Garba Shehu, noted that the meeting between the labor leadership and the representatives of the employers of labor is now scheduled to be reunited on Thursday, October 4. He said: "By its tripartite nature, the committee is composed of people from the federal and state governments and the private sector formed by the largest private employers' group and the Nigeria Employers Consultative Association (NECA). "Nigeria, the Nigerian Association of Chambers of Commerce Industry Mines and Agriculture (NACCIMA) and the Nigerian Association of Small and Medium-Sized Enterprises (SMES). "Invitation letters have been sent to all the participants. He said the presidency wished to ensure that the federal government took all necessary steps to get the unions to call off the strike.